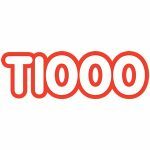 T1000 ANNOUNCES ELECTRIC GARDENS LAUNCH PARTY! 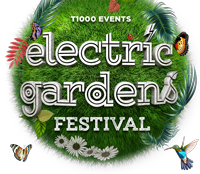 Sliding into the end of 2016, there will be no better place to be as T1000 Events unleash the Electric Gardens Festival Launch Party featuring a techno legend that dominated on the Electric Gardens Festival Code stage. This premium electronic daytime event will takeover every room including the pool area at Sydney’s IVY BAR. With doors opening at noon, this will be the ULTIMATE pre-Christmas event for party revellers! Without question, DUBFIRE stole hearts and conquered minds in Australia when he closed the CODE stage at ELECTRIC GARDENS FESTIVAL in January this year! This man is literally on FIRE right now! In addition to his stellar performance at Electric Gardens, he literally stole the show at Coachella in April and was chosen by the legendary Carl Cox to play B2B at the big man’s last ever birthday celebration at this year’s Space Ibiza season! There is no denying that the Grammy award winning DUBFIRE is an artist whose drive, talent and intuition have placed him within the top tier of electronic music artists in the world. His solo performances at the world’s most influential clubs and festivals, running his label SCI+TEC and his exploration of audio and visual technology, DUBFIRE is in a class of his own. Hits like Ribcage, Emissions and Roadkill have seen DUBFIRE’S reputation as a true master of his craft firmly cemented. As one half of the hugely successful Deep Dish, DUBFIRE dominated electronic music for well over a decade. The release in 1998 of their ground breaking album ‘Junk Science’ sent critics worldwide into ecstatic meltdown and saw Deep Dish thrust into the forefront of musical dominance worldwide. Never satisfied with the status quo, DUBFIRE spent two years crafting a live show (HYBRID), a concept that has wowed audiences since its launch in 2014 and described by Thump as, “unlike anything we had previously seen or heard before anywhere”. Supporting Dubfire and making his Australian debut we welcome MATADOR. This talented producer has taken the techno world by storm. Gavin Lynch better known as Matador rose to fame as a sound engineer and DJ in his native Dublin, the dedicated producer has plotted a carefully devised route right to the forefront of techno in just three short years. The initial break came on Hawtin’s Plus 8 thanks to a driving monster of a remix for Bryan Zentz’s D-Clash which announced Matador as one to watch in dance circles. Following that up with a debut EP on Minus was perfect opportunity for Matador and the success of his Kingswing release gave him the impetus to launch himself fully into the world of techno. With staunch support from Mr Hawtin himself, Matador became a regular fixture on the Minus lineups around the world, making his debut at the revered Watergate in Berlin and going on to perform at a multitude of Minus events including a residency that summer at Enter in Space, Ibiza. This also led to various festival invitations and an extensive touring schedule with visits to Monegros, Balaton Sound, Time Warp, Creamfields Argentina, Melt Festival, BPM, Exit Festival, Movement Detroit and many more in just a few short years. Ticket prices first release $50 + B.F. / 2nd Release $60 + B.F. / Final Release $70 + B.F.
VIP packages also available through Moshtix!